Uniting at our schools and with educators across the city, increases our ability to advocate for our students and our profession. Whether it is by negotiating for more professional freedom in our classrooms or standing with our fellow UTLA members to advocate for improved state funding for all publicly funded schools, I’ve seen the difference that having a union can make. 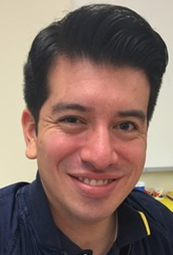 My name is Erick Guzman, I am a first year Alliance teacher at Alliance College-Ready Middle Academy #8. I have worked in both public and charter schools for the past decade and I want to share with you why I support forming our union. As hard-working educators we make sacrifices, like working extra hours and paying for out-of-pocket expenses because we love our students. We all aspire to see the schools that students deserve, regardless of whether they attend a charter school or traditional public school. When we form our union, we will have the power to negotiate over these important issues in our own independent union agreement with Alliance. We decide what to protect and what to improve in our schools through collective bargaining. It is our legally protected right to form our union. I am proud we are forming our union with UTLA to work side by side with other educators to achieve the best education for our students. In addition to what we can achieve together, across the Alliance, we are joining with over 30,000 educators in Los Angeles who are already members of UTLA. We face similar challenges, feel the same obligation to our students and aspire to achieve the schools our students deserve. I support organizing our union because I believe it is my duty to our students, parents, community, and profession to join with fellow educators and have the strength to advocate for quality public education. I look forward to building our union together and encourage you to join with us.